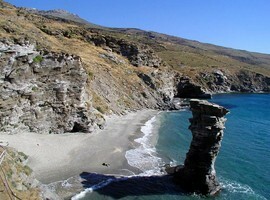 Andros is the second largest island of the Cyclades after Naxos. 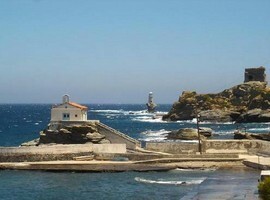 It is the northernmost island of the complex with an area of 381 sq km. 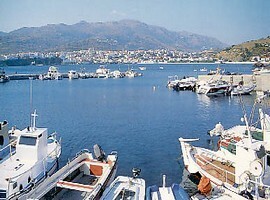 It is a mountainous island with many ravines, streams, springs and verdant valleys. 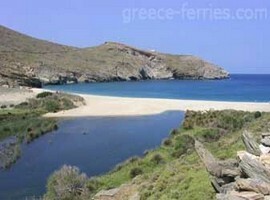 The many streams and wonderful climate make Andros one of the most fertile islands of the Cyclades. 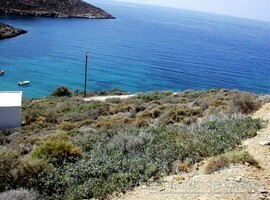 It is rich in fruit trees and olive groves. The famous mineral water, Sariza is produced here. Tourism plays an important role in the lives of locals in recent years and large hotel units have been constructed on the island. 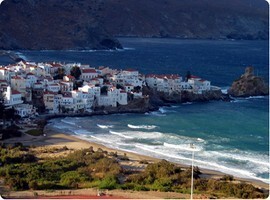 Andros is a typical Cycladic island with arches, narrow, uphill streets and white houses. 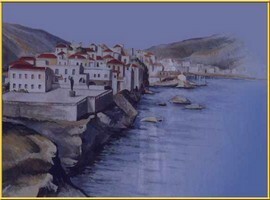 The Castle of Chora is one of the most important monuments in the capital of Andros. 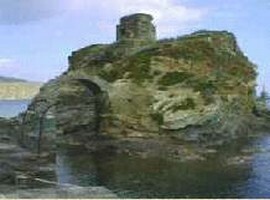 It was built by Marino Dadalo, just after he conquered the island. The towers and the barracks of the castle and the coats of arms of the Venetian rulers were well preserved until 1943. After the heavy bombardment by the Germans of the same year, the castle was destroyed. Today, one can see only ruins. 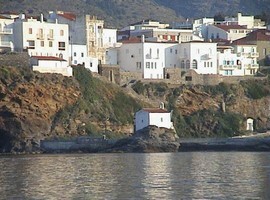 The Naval Museum of Andros is one of the most impressive buildings on the island. It includes a large collection of nautical instruments, ship models and photographs. The museum attracts many visitors in summer. Sariza is a source of mineral water in the village Sariza Apikia, 4 km west of the country. The source is located above the central square, and attracts many visitors who go there to drink water. 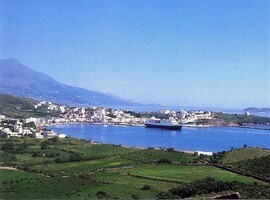 Messaria is a beautiful inland village built in a green area. 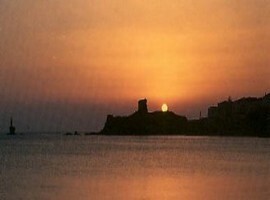 During the Venetian era, Messaria was an important economic center. 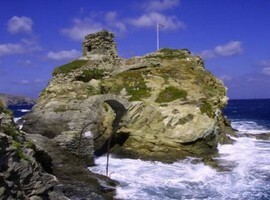 The Tower of St. Peter is located between Gavrio and St. Peter, a rhomboid-shaped tower of stone. 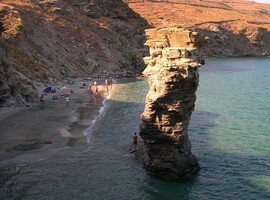 Andros is a magnet for lovers of water sports. Each summer the Andros Yacht Club organizes regattas with a significant interest in sports and attracts fans of sailing and windsurfing. 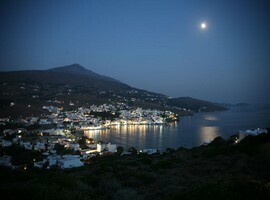 Information is provided by the Yacht Club of Andros. 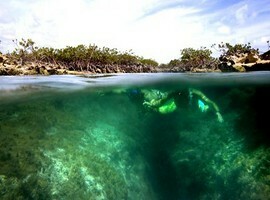 The beautiful beaches are ideal for anglers and fans of diving or snorkeling. 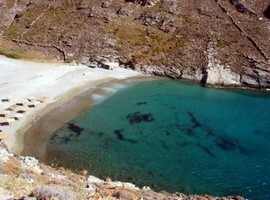 There are two beaches in the country that you can reach on foot: Parapoti beach at the South and Nemporios beach at the north. Another picturesque beach is 20 minutes away and begins at the end of the beach Paraporti, taking you to the beach Lydia. 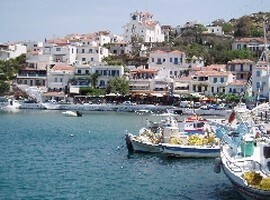 Two other beaches worth visiting are the beaches Glasses and Back Glass, about 15 minutes drive from the town. During the summer months you should take a cruise on the beautiful Achla beach where the river reaches the sea, creating a wonderful wildlife refuge with a great variety of flora and fauna, and hundreds of migratory birds. 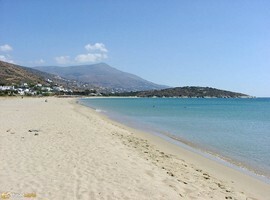 Other beaches are beach cops, the golden sand between Gavrio and cops and others in the northeast of the island. 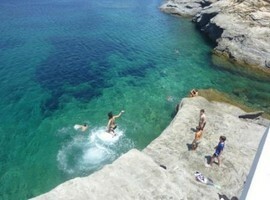 You can also go to the beaches of Pyrgos Vlychada, beaches Athleni, Vori, Abbey, Big Pinch, Cyprus, tough and many others. 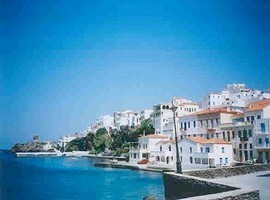 Andros is an island that attracts a growing number of tourists and offers many opportunities for night life and entertainment for those visiting the island. The evening may start by going to summer cinema in the country and continue with a few drinks at a bar. In Chora, there are several cafes, cafeterias and snack bars serving delicious coffee and pancakes in the morning and in the evening you can enjoy one of the bars with music and drinks. 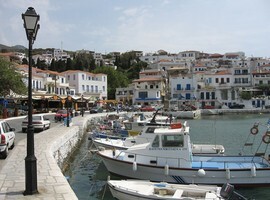 In Andros you will find several bars with good music and great cocktails.